Brickworld Indy will be at the Indiana State Fairgrounds in the Blue Ribbon Pavilion on March 16 and 17, 2019. Saturday 10 – 6 and Sunday 10 – 5. 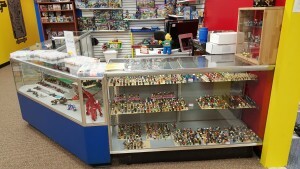 More info at https://brickworld.com/brickworld-indianapolis/. The Premier LEGO fan experience in North America! Brickworld Chicago is an annual convention for all things LEGO. The five day convention is full of activities, contests, and comradery with LEGO fans from around the world. 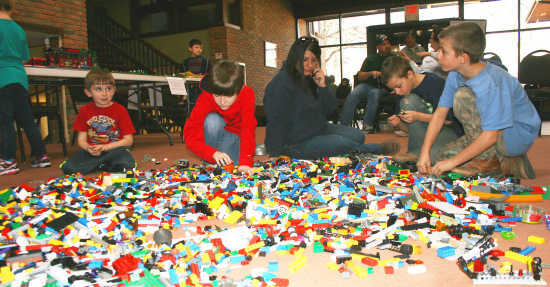 The last two days of the convention provide an opportunity for public viewing of the LEGO creations that the convention attendees have assembled in the convention hall. Please consult the Brickworld.com site for details. 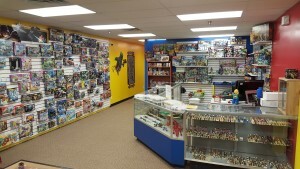 Midwest Toy Fest is a toy and comic show based in Indianapolis and is a celebration of toys, comics, cosplay, collectibles, gaming, and geek culture where fans of all ages can come together to share their hobbies and passions with other fans, vendors, artists, and creators from throughout the Midwest. We hope that you’ll be able to join us again for this year’s event November 10-11, 2018 at the Wyndham West Hotel here in Indianapolis, Indiana. We will have more than 25,000 square feet of geeky goodness including adult and kids costume contests, panels, vendors, artists, special guests, community groups and more! We are still adding information about programming, panels, and exhibiting artists and vendors, so be sure to check back often for the latest updates! For the latest information for this event, please consult the Midwest Toy Fest homepage or the event’s Facebook page. Block Parties are for Lego fans of All Ages! We bring the Lego party FUN to you or you can come to our new retail store! We have a party room dedicated to fun with Lego bricks and products! We buy, sell and trade anything Lego! We add new stock almost daily! We sell new and used sets, individual pieces by the cup, build a fig to make your own, 1000’s of stock and custom LEGO figures, 1000’s of custom and LEGO accessories for figures and we sell some Halo and other brands of mini figures too! We also have some custom creations on display in the store for you to enjoy! Please call or consult the store’s homepage for hours of operation. Greencastle Parks & Recreation is organizing a LEGO show on Sunday, January 28, 2018 from 1:00 to 5:00 PM in celebration of the 60th Anniversary of the Lego building block! The venue is the Inn at DePauw at 2 West Seminary Street, Greencastle, IN 46135. Admission is one non-perishable food item per person. The Louisville Slugger Museum and Factory will be hosting an exhibit of interest to all baseball and Lego fans! 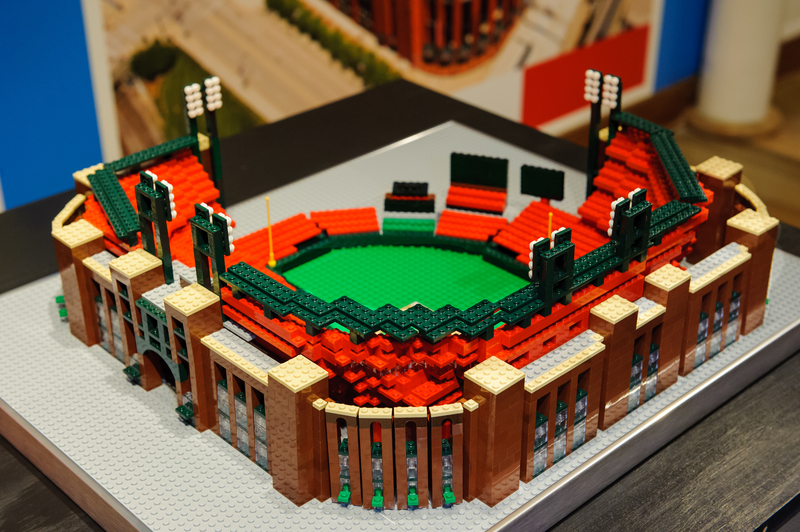 Big Leagues, Little Bricks is an “original exhibition featuring amazing sculptures, portraits, and stadium replicas built with LEGO bricks.” The Lego exhibit is included in the general admission price for the museum.